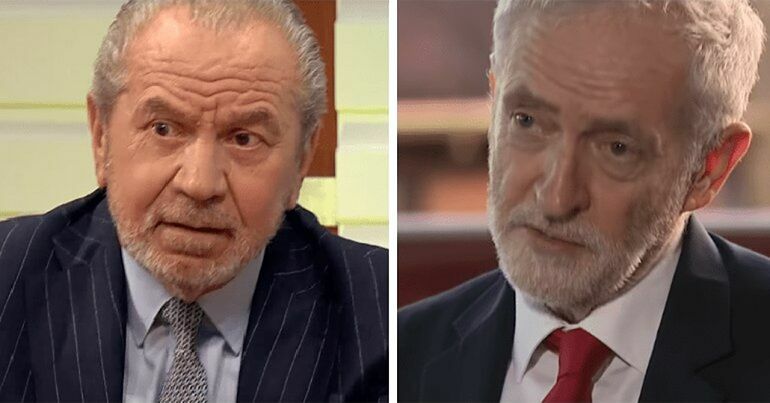 Jeremy Corbyn has declared that the Labour Party is once again the “political voice of the working class”. Yet Labour-controlled councils are screwing over working-class Londoners. Deeper analysis shows a murky world where private interests appear to trump local people’s needs. The Labour leadership is saying all the right things. Along with Corbyn’s declaration, shadow housing secretary John Healey wrote that a Labour government would enact “the biggest council housebuilding programme for over 30 years”. Yet not everyone in the party is singing from the same hymn book. The make-up of Southwark Council is 49 Labour councillors and 14 Liberal Democrats. On 4 July, the council’s planning committee voted to demolish the iconic Elephant and Castle shopping centre. It plans to build 979 new homes on the site and create a new university campus. The council made its decision in the face of large-scale protests by residents. Many are terrified the regeneration will result in a new Westfield. And locals were understandably concerned about the developer Delancey only committing to 74 homes for social rent in a borough with [pdf, p1] over 20,000 people on its council housing register. Delancey has now committed to 116 social homes, but this is still only 11.8% of the 979 total. Chrisp Street market in Tower Hamlets is the oldest pedestrianised shopping area in the UK. It’s staffed by working-class traders for working-class people. 10 years ago, Tower Hamlets Council transferred management of the market and the housing situated around it to the housing association Poplar Harca. Since then, residents and market traders state that Poplar Harca has overseen a “managed decline” of the market. A documentary exposing this practice claims that 70% of the original residents have now left the area. Poplar Harca plans to submit a redevelopment proposal to Tower Hamlets Council some time this month. Its website states it plans to turn the area into a “thriving town centre”. Yet many of the residents and traders fear that this “thriving” area will be at their expense. On 20 June, the Guardian revealed that Haringey Council is planning to evacuate two tower blocks on the Broadwater Farm estate. Structural tests found that Tangmere House and Northholt are both vulnerable to “catastrophic collapse”. Building safety experts have accused Haringey Council of negligence in rooting out and dealing with the safety the issues the tower blocks pose. 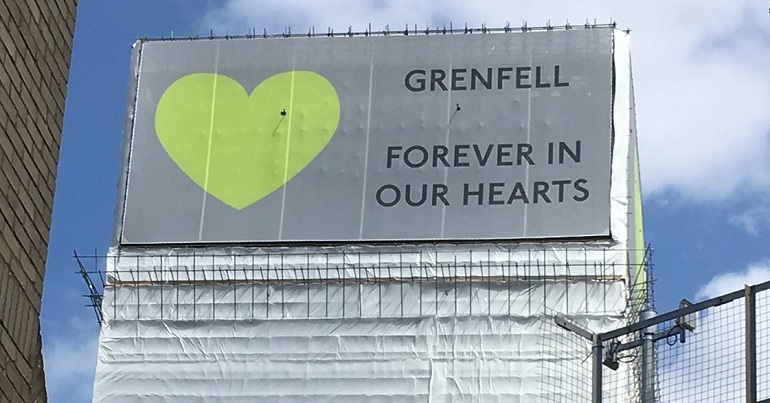 It took the council a year after the Grenfell Tower fire to conclude that the blocks needed to be evacuated. Its re-housing policy is an insult to those who are being forced out of their homes. The council is enacting a ‘direct offer’ procedure for both temporary and permanent offers of accommodation. This means that, if residents reject a ‘suitable’ offer of accommodation, the council will not have to provide an alternative. Secretary of the Broadwater Residents’ Association Jacob Secker described the council’s approach as “blackmail”. The above examples are just a few in a long-line of Labour councils putting private interests above those of its residents. As The Canary previously reported, Labour-led boroughs “reported some of the highest losses” of council homes in 2016-2017. So it shouldn’t come as a shock that a revolving door exists between major property developers and Labour councillors. The former leader of Haringey council Claire Kober is now the director of housing at the private housing management group Pinnacle. Kober’s controversial Haringey Development Vehicle project was eventually halted as it planned to bulldoze council estates and put “billions of pounds of public assets partially into private hands,” the Guardian reported. When it comes to elected members, just under 20 per cent of Southwark’s 63 councillors work as lobbyists. This includes the current leader of Southwark Council Peter John. The 35% Campaign in Southwark describes John as “a property lawyer by trade”, who has multiple links with private developers. The soundbites coming from the Labour leadership are all well and good. But local authorities’ decisions have a direct effect on people’s day-to-day lives. 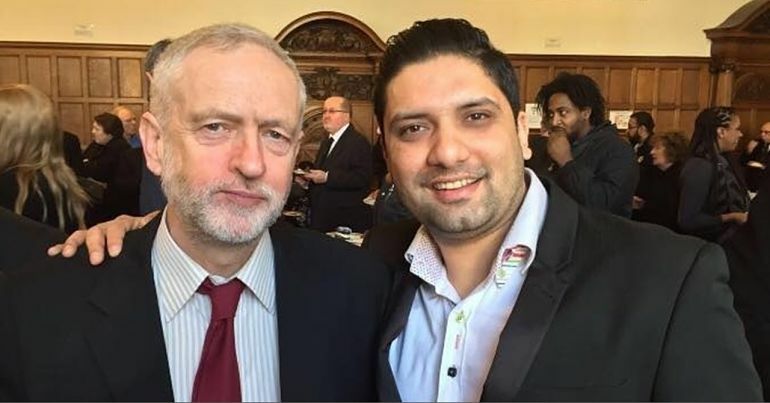 You couldn’t blame the residents of Broadwater Estate or the market traders in Tower Hamlets if they hesitated to put an X next to their Labour candidate at the next general election. 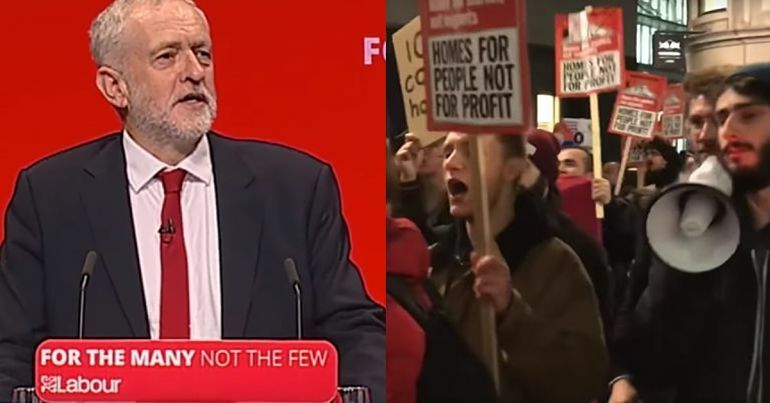 Corbyn’s message that the Labour Party is once again the “political voice of the working class” either hasn’t made it to the world of local government or is being steadfastly ignored. Because the actions of Labour-led councils in London suggest that some value private interests ahead of people. This is everything the labour movement stands against. – Follow the Save Chrisp Street Market Twitter for news about the campaign. – Support the Haringey Housing Action Group. – Follow the Ledbury Action Group on Twitter. – Keep up with the 35% campaign in Southwark. Nigel Farage really isn’t happy about the ‘baby Trump’ blimp. Ah well.